What's the difference between the FRANCINSTIEN, the Bride of FRANCINSTIEN and FRANCINSTIEN T-Sym? The original FRANCINSTIEN was invented back in the nineteen-nineties. Further research since that time has enabled the processing to be improved. The new matrix was developed in 2009 and, to distinguish it from the original FRANCINSTIEN it was named Bride of FRANCINSTIEN after Hollywood's first sequel to the classic horror film. 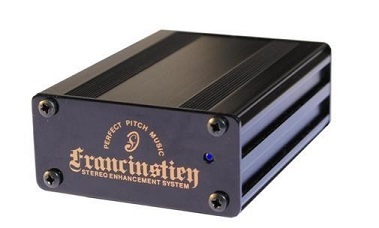 FRANCINSTIEN T-Sym is a third-generation stereo correction process based on considering two-loudspeaker stereophony to be a flawed wavefront reconstruction system. Using this theoretical analysis, FRANCINSTIEN T-Sym generates correction signals which compensate for conventional stereo's spatially-aliased sound-sources at high-frequency. The result is a stereo image of unprecedented clarity and solidity. 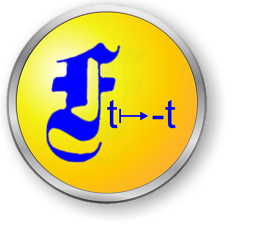 The technical differences between the FRANCINSTIEN and the new Bride of FRANCINSTIEN are explained here, and the FRANCINSTIEN T-Sym is explained here. All the new, hardware production matrices manufactured by Phaedrus Audio Ltd. employ the Bride of FRANCINSTIEN matrix.